Dublin’s newest plaque to be unveiled today. | Come Here To Me! Dublin’s newest plaque to be unveiled today. 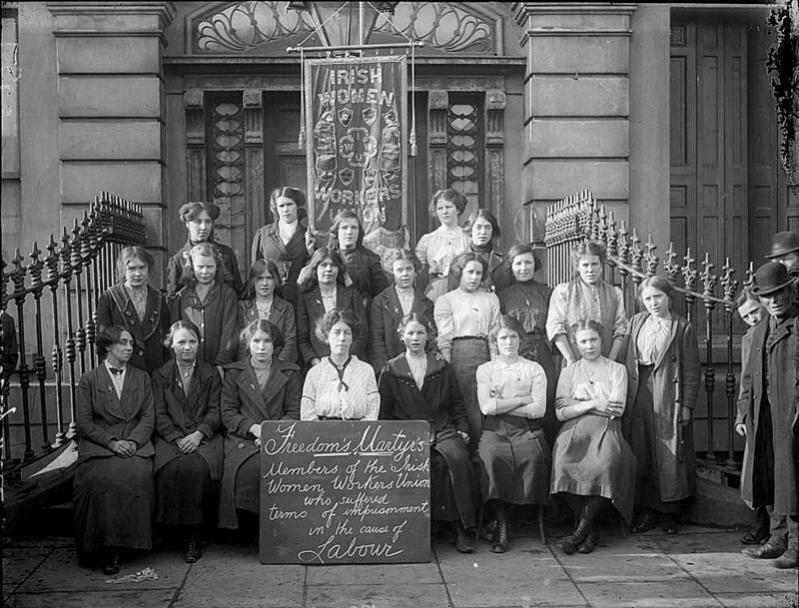 Today sees the unveiling of a new plaque in Dublin in honour of the Irish Womens Workers’ Union, of which Delia Larkin (sister of Big Jim) was a founding member and leading activist. The plaque is the end product of a long campaign by the IWWU Commemorative Committee, who have worked greatly to have these women recognised in the context of this ‘decade of centenaries’. Not alone is 2013 the centenary of the greatest labour dispute in Irish history, but today marks the international day of women, making it a fitting occasion to unveil this plaque. In 1911, the IWWU was set up and, within weeks, swiftly involved in a pay battle for their members against Jacobs factory. At the inaugural meeting Delia Larkin was appointed secretary with support from Countess Markieviez, and her brother Jim Larkin. Later the well-known actor Helena Moloney with Markieviez began the organisation of funding and distribution of food with the soup kitchens while long-time agitator and organiser Rosie Hackett was enrolled to help mobilise the members for the struggles they were to face. The refusal of the Jacobs workers to remove their union badges was taken up in solidarity by the dockers of Dublin who refused to handle Jacob’s goods. The plaque will be unveiled by feminist historian Margaret MacCurtain and the union’s last serving General Secretary Padraigin Ni Mhurchu along with IWWU member Kay Marron at Liberty Hall tonight at 5.30. We wish them every success with this important event. When Irish people had a backbone. The fluoride in the water has pacified and dumbed us all down. Fair dues to Margaret and Paidrigín. No better people to do the job.